My first four weeks at ESA were filled with a great many differing impressions. For me, the most important aspects were the meetings with staff and contractors at the various ESA sites: after presenting my general ideas about the challenges and opportunities ahead of us, I was able to learn about their issues, concerns and wishes. Although this first round of interaction was very much focused on general themes, there was one question that kept being raised at all the sites, and that was relations between ESA and the European Commission. Unsurprisingly, the subject was also discussed in my first meetings with representatives of the Member States. Generally speaking, the current political trend is – unfortunately – not towards the formation of a “United States of Europe”. Instead, there is a tendency to prioritise national activities and a certain euroscepticism is in evidence. Fortunately enough, this tendency has had little impact on ESA, as the way in which the Agency operates is very supportive of diverse interests and industrial policies. It follows, therefore, that we should make our next goal a “United Space in Europe”. To achieve this, pragmatic, transparent and reliable cooperation among the main space actors in Europe is of the utmost importance. 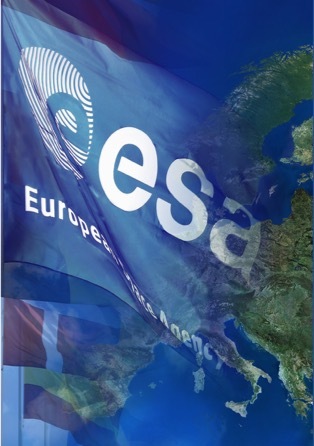 Within ESA, the relation between ESA activities and the activities of the Member States constitutes a solid foundation that has been laid down by the ESA Convention, paving the way for interaction and effective cooperation. In addition to that, the relations that exist between ESA and EUMETSAT, the European Organisation for the Exploitation of Meteorological Satellites, and other organisations are extremely beneficial and are fully on track. At the same time, there is a clear need to develop similarly effective relations with the European Union, and more specifically with the European Commission. Instead of arguing over commas in legal documents, we should seize the opportunity to create coherent cooperative mechanisms that take full account of our respective experience, mandates and capabilities. Any attempt to communicate in a negative manner or claim overall governance would result in deadlock and may in the end prove detrimental to European citizens and to space activities in particular. Citizens and politicians alike expect from us that we approach our interactions at institutional level with great seriousness, as well as carrying out advanced, inspiring and educative European space activities rather than engaging in quarrels over details about who has the power in whichever area. There is much important work to be done in the period ahead, hopefully culminating in a joint Space Council at the end of this year. Great post, was a pleasure to read. I really like the vision of “United Space in Europe”, ESA really makes a good job in making people interested feel proud from being Europeans and helps warming up the EU image. Hopefully politicians will understand that and show as much support to your vision, mr. Wörner, as you need them to. Your predecessor gave us some amazing things – I didn’t live through the “Apollo moment”, but (between many) thanks to his support I could get my “Rosetta moment”. So I’m looking forward to see what else ESA will achieve, as we live in a really exciting times. interesting read and gives the implication that you have some power in the descission making? I still believe the expression: he that pays the piper, calls the tune. That’s how the process works in America and I would be truly shocked if that doesn’t work the same in Europe. Greece is certainly finding out the hard way, that you can’t just leave the game, injured or not, you have to tow the line and carry on playing even if you have to resort to life support. Most people on this planet have never heard of ESA ( I never had before I was sent to work there as a contractor ) and they certainly won’t miss it or you if it were to disappear tomorrow. My advice for an easy life is to do your job to the best of your ability, especially if it causes no harm, of course don’t argue about commas in contracts, that would imply you are aware that all contracts are there to prosecute you, and not your benefit, causing closer scrutiny of your behaviour. Take the offer you can’t refuse, it’s not personal, it’s just business. Your thoughts are witnessed and as science has proven the act of witnessing affects the outcome. Love your work. I am in favour of further integration of European space policy, but it’s strange, as DLR chief you have not shown any ambitions to end the “package deal” policy (one never-ending source of quarrels and waste of money), instead Germany has played this card quite often. We do not need to remind ourselves of Menenius Agrippa’s fable to the Roman plebs in 494 BC, explaining how all parts of the human body are essential and how each has its own purpose. EC and ESA have clearly distinct characteristics, but they should share one common objective: “United Space in Europe” and the well-being (let me say: happiness) of the European citizens. I wanted to review my idea of ​​giant spheres filled with empty microlattice in geostationary orbit in the thermosphere. They would be anchored to the ground in Kourou or the North Pole, as upward system fixed on a giant winch easily bring back the sphere to the ground, the cable microlattice not exceeding … mm in diameter in order to reach the thermosphere standing long too burdening the system (we attach an extra ball when you get to the end of the lift force on the cable of the first, and so on). This inexpensive system and upward without loss would constantly supply a certain altitude (200-1000 km) with small light objects and other spacecraft components. It would cover a large area with many of these spheres, to have the same surface area available in the thermosphere. This “altitude base” could host materials, water, plants, and assemble small spacecraft car that would make round trips to the moon, mode ‘flick once the altitude reached, standing out Cable with a single pulse. It may therefore be through this process to consider startosphere moon return and easily manufacture the lunar base, “laboratory” for the exploration and colonization of Ceres, Mars, and atmosphere Venus. The goal is to replace traditional launchers with reusable vacuum spheres, practical and cheaply to mount objects increasingly consequential, water to the moon, and housing kit … among others. In the first prototype, we could try a ground floor of X kg to 40 kg sphere of charge + 40 kg for driver and X kg for 80 kg 2X cable are to raise the sufficient volume of empty, for the first missions before the establishment of a system of several tens of spheres ground. The spatial conquest with a permanence on the moon. If the principle of vacuum spheres works, aircraft will be as easy and inexpensive to produce and deliver the cars, the moon, Mars, Ceres will be much more accessible. This can be seen completely exponentially, a perspective that can greatly boost the French economy! – The restaurant and the lunar Fitness cure for teams to go to Ceres as a stage for raw Mars missions. Impatient to know your opinion, even brief.